Scoot Pte Ltd., a subsidiary of Singapore Airline, is a Singapore-based low-cost long-haul airline. Different from Budget Airlines, such as Tiger, AirAsia, Scoot operates flights on medium and long-haul routes from Singapore, initially to Australia (Sydney, Gold Coast etc.) and China (Shenyang, Qing Dao, Nan Jing etc. ), using Boeing 777 aircraft obtained from SIA. Its head office is in Terminal 1 at Changi Airport in Changi. 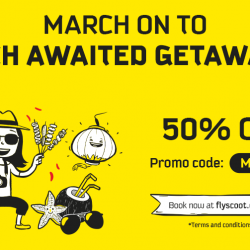 Book by 20 Mar 2019 Scoot: GTG Sale with 70% OFF Flights to Osaka, Phuket, Hong Kong, Bangkok & More! When you gotta go, you've GOT TO GO - on a holiday that is. And now you can with Scoot's all-new GTG Sale! Stop scrolling through Instagram for travel inspo! 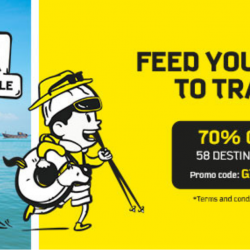 Let your own feed blossom with 70% off flights to Osaka, Malaysia, and 51 other destinations! Extended sale till 20 Mar, 2359hrs! 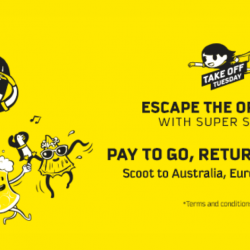 Book by 19 Feb 2019, 2359hrs Scoot: Extended Take Off Tuesday Sale with Brand NEW Destinations from $51! There's no Kota to the number of travel pics you can snap! 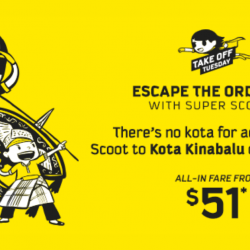 Scoot's extended Take Off Tuesday sale includes NEW destinations for NEW adventures such as Kota Bharu and Kota Kinabalu! Rise and shine for the sale at 7am tomorrow! 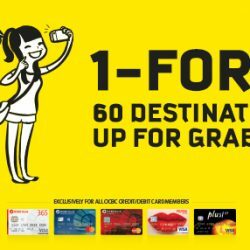 Book by 17 Feb 2019 Scoot: Enjoy Up to 30% OFF Economy fares to Over 60 Destinations with Citi Credit Cards! Scoot to somewhere new and enjoy up to 30% off eligible Economy fares to over 60 destinations when you book with a Citi Credit Card. Book from now till 17 Feb 2019! T&Cs apply. 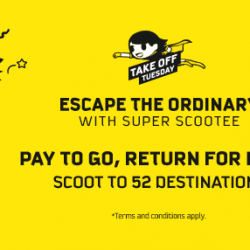 Book by 12 Feb 2019, 2359hrs Scoot: Extended Take Off Tuesday – Pay to Go & Return for FREE to 61 Destinations! Is your IG feed looking a little drab? Well, let your feed blossomwith pics from these destinations! Pay to go and return for free to 61 destinations including 19 China cities and more. Book before 2359hrs on 12 Feb 2019! Book by 29 Jan 2019, 11.59pm Scoot: Take Off Tuesday Sale with Up to 30% OFF Bali, Jakarta, Bengaluru & More! Why stay INdoors when you could be jet-setting around the world? 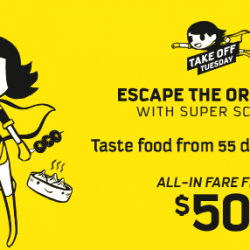 Go travel-crazy and explore new cultures and breathtaking views at Scoot's Take Off Tuesday destinations this week! You'll fall in love with these places in an INstant. Get up to 30% off 12 destinations from 7am to 11.59pm! 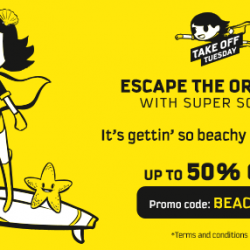 Book by 15 Jan 2019, 2pm Scoot: Take Off Tuesday Sale with Up to 50% OFF Beach Destinations Including Borocay, Hawaii, Gold Coast, Bali & More! Too early in the year for a vacay? Beach please. You'll wanna pack your shades and extra sunscreen to check out Scoot's Take Off Tuesday destinations this week! Get up to 50% off beach destinations including Denpasar (Bali), Krabi, Kalibo (Boracay), Gold Coast, Honolulu (Hawaii) and more. Book by 8 Jan 2019, 2pm Scoot: Pay to Go & Return for FREE to Gold Coast, Melbourne, Athens, Honolulu & More! Goodbye Monday blues and aloha new vacay! We give this week's Take Off Tuesday destinations a tan out of 10! 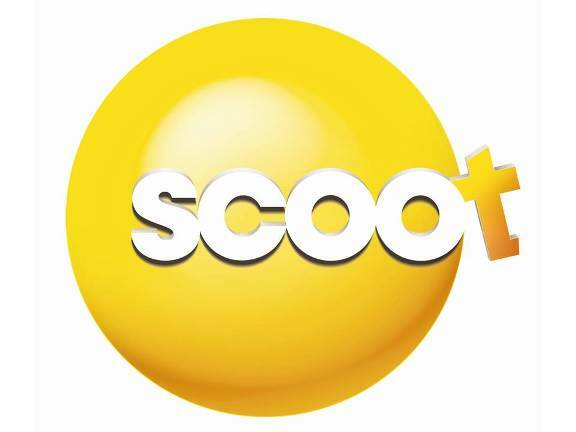 See you at 7am tomorrow to grab Scoot's return for free tickets to Gold Coast, Melbourne, Athens, Honolulu & more! Sale ends at 2pm on 8 Jan 2019. 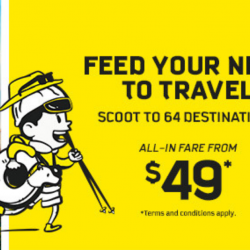 Book by 6 Jan 2019 Scoot: Back-to-Work Sale Fares to Over 60 Destinations from Just SGD49! Feel like banging the table after an annoying work drama? Do some head banging instead at a live music festival in Berlin, an EDM party in Tokyo or maybe even a beach bar in Qingdao! 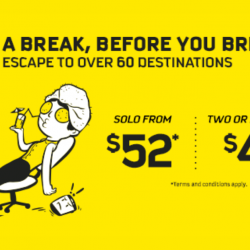 #TakeABreakBeforeYouBreak, book your next holiday to over 60 destinations now with Scoot's back-to-work sale fares from just $49! 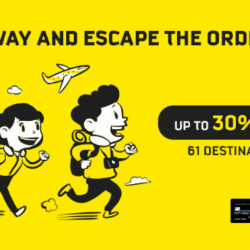 Book by 18 Dec 2018, 2pm Scoot: Take Off Tuesday Sale with All-In Fares from SGD50 to 59 Destinations! Stocking up on presents for Christmas? 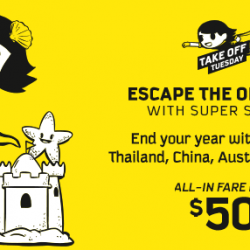 Give yourself the gift of travel with this week's Take Off Tuesday sale at Scoot! Destinations include Athens, Sydney, Melbourne, Kalibo (Boracay), Qingdao, Guangzhou, Hong Kong and more. Book your tickets from 7am to 2pm on 18 December 2018! 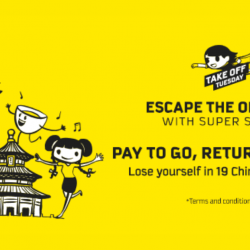 Book by 11 Dec 2018 Scoot: Extended Take Off Tuesday Sale – Pay to Go, Return for FREE to 52 Destinations! 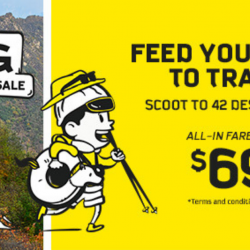 Whether you're headed East or West, Scoot has got you covered all around with the best... deal that is! Travel across the world with this week's extended Take Off Tuesday sale and pay to go, return for FREE to 52 destinations! Book by 11 December 2018. 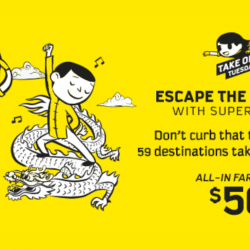 Book by 4 Dec 2018, 2pm Scoot: Take Off Tuesday with All-In Fares to 60 Destinations from SGD50! Planning for a holiday? Get up early tomorrow and check out Scoot's Take Off Tuesday Sale with all-in fares to 60 destinations starting from SGD50! Sale starts at 7am and ends at 2pm. 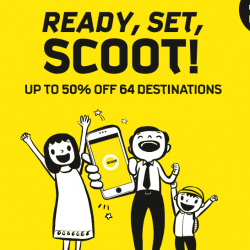 Book by 3 Dec 2018 Scoot: Mobile App Exclusive Promotion with Up to 50% OFF 64 Destinations from just SGD52! Ready... Set... SCOOT! 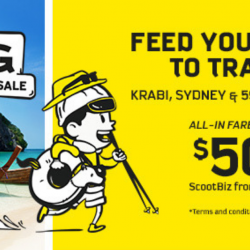 Download Scoot's brand new mobile app and get up to 50% off 64 destinations! This is a mobile app exclusive promotion, so get their app today to enjoy super low fares from just $52! Sale ends 3 Dec 2018, 2359hrs for travel by 31 May 2019. 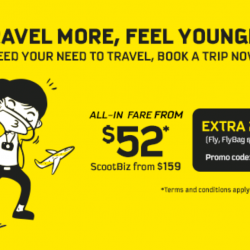 Book by 27 Nov 2018, 2pm Scoot: Take Off Tuesday with All-In Fares from $51 to 37 Destinations! The sun is setting on 2018 but there's still time to squeeze in a quick vacay! Don't miss out on these stunning views from Scoot's Take Off Tuesday destinations! Fly to Langkawi, Bangkok, Phuket, Denpasar (Bali), Hong Kong and more from SGD51. See you at 7am tomorrow! 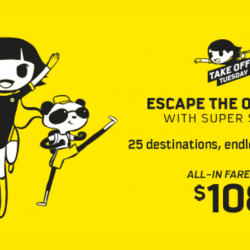 Book by 20 Nov 2018, 2pm Scoot: Take Off Tuesday with 25 Destinations on Sale from SGD108! There's more to winter than just the cold and snow! Keep your cool on a holiday adventure with Scoot's Take Off Tuesday destinations like Harbin, Berlin, Nanchang and more. ⏰ Set your alarms for 7am tomorrow! Book by 13 Nov 2018, 2pm Scoot: Take Off Tuesday with 1-for-1 to Honolulu, Berlin, Langkawi, Bangkok, Melbourne, Taipei & More! Get high on adventure on your next holiday! Grab your travel buddy and take a hike with this week's special 1-for-1 Take Off Tuesday deal! 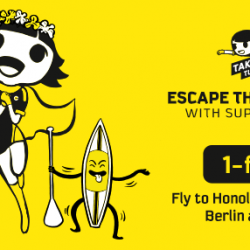 Fly on Scoot to Honolulu, Berlin, Langkawi, Bangkok, Melbourne, Taipei and more. Book your tickets from 7am to 2pm on 13 November! 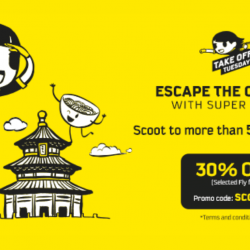 Book by 6 Nov 2018, 2pm Scoot: Take Off Tuesday with 30% OFF More than 50 Destinations! Feeling the year-end crunch? Give yourself a break and take a quick vacay! This week's Take Off Tuesday destinations will have you feeling spoilt for choice. 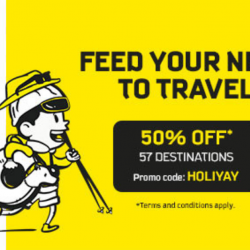 Scoot off to more than 50 destinations at 30% off selected FLY fares! Wake up early to grab the fares by 1400hrs! Book by 30 Oct 2018, 2pm Scoot: Take Off Tuesday with Up to 30% OFF Fares to Taipei, Honolulu, Tokyo, Seoul & More! 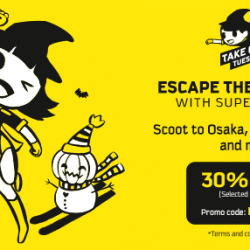 This week's Scoot Take Off Tuesday, get up to 30% off popular holiday destinations like Honolulu (Hawaii), Taipei, Sapporo (Hokkaido), Tokyo, Seoul and more! Book from 7am to 2pm on 30 October 2018.